It wasn’t long ago that Ho Chi Minh City was Saigon, capital of the Republic of Vietnam, and much of the buzz and freshness of this city today stems from the dramatic changes that took place here in the 70s. Commerce is a busy, whirling king here, but the city’s cultural side, which embraces the past with vitality while propelling life forward, is a very powerful queen. The best places to stay in Ho Chi Minh City tend to reflect this idea of the value of local culture and you’ll find fantastic fusions of old and new, French colonial and modern Vietnamese everywhere. Many visitors are fascinated by Saigon’s war stories and relics and if you are in this group then the Reunification Palace is an unmissable time warp. Formerly the Presidential Palace of South Vietnam, these five storeys have been left largely untouched since the day before Saigon fell to the North. A replica of the tank that crashed through the gate ending the war on the 30th of April 1975 sits on the lawn and the whole building is filled with fantastic vintage 60s equipment. The other war-related must-see are the Cu Chi Tunnels, an enlarged and upgraded version of resistance tunnels and a great place to learn about the experience of war from the point of view of the resistance fighters. You can also fire real weapons here. For a better overview of Vietnamese history you’ll need the Museum of Vietnamese History, which is packed with antiquities. It’s right by the Botanical Gardens. The Ho Chi Minh Museum is all about the life of the city’s namesake and the ‘father of Vietnam’. It is housed in a lovely French colonial building. Some of the other French colonial built highlights are the Notre Dame Cathedral, the Saigon Opera House and the Central Post Office. There are numerous wonderful buildings that you’ll just discover as you explore. The colonial era Fine Arts Museum is also worth a visit, both for the elegant details of the building and for the art which ranges from 4th Century religious depictions to contemporary works. Before the French era, Saigon was Vietnamese and there are still plenty of structures from this period, including the Giac Lam Pagoda which is supposedly the oldest temple in town. The Jade Emperor Pagoda is one of the most impressive - spectacular even - it was built in 1909 and the woodcarvings and atmospheric statues look so vibrant and lively. The Phuoc An Hoi Quan Pagoda is also relatively new and very impressive. Saigon’s Mosque is also an impressive green marker on the skyline. It’s still possible to take ride a cyclo around town - these three wheeler bikes where the passengers sit in front are one of the sights the city is known for, but sadly they’re being outlawed because they’re slow and wide. But it’s definitely still an option and a great way to see the city. With such diversity, and so many things to see and do, the best places to stay in Ho Chi Minh City are quickly snapped up, so do plan and book ahead early. 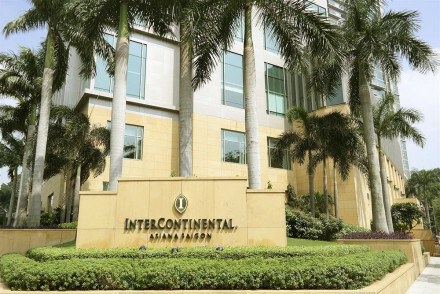 The Intercontinental Asiana Saigon is a slick, five star hotel in the centre of town close to the Notre Dame Cathedral and the Bến Thành Market. There are more then 300 rooms and decadent suites with hardwood floors and rather chic-chi decor. There is a rooftop pool, luxurious spa and gourmet restaurant. 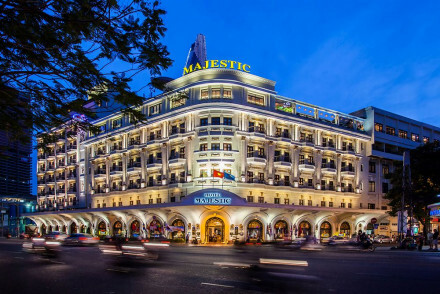 The Hotel Majestic Saigon is an Art Deco masterpiece dating from 1925. 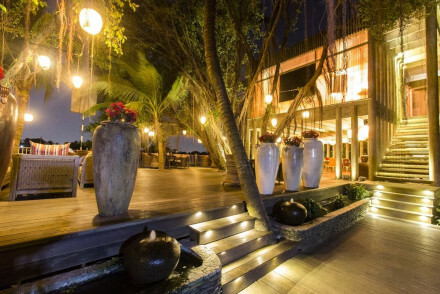 The location is superb, as is the decor, and there’s a choice of rooftop bars and an excellent Vietnamese restaurant. The Villa Song is a charming boutique hotel on the Saigon River to north of Bến Thành - and there is a complimentary boat shuttle. The neighbourhood is trendy with numerous cafes, galleries and riverside restaurants. It is situated close to the Reunification Palace. 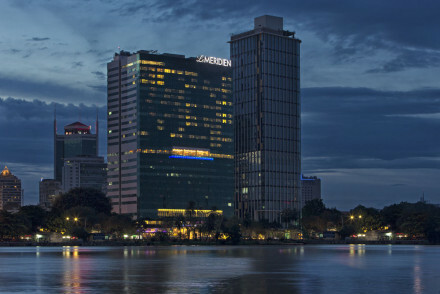 A large and contemporary high-rise, Le Meridian Saigon is just minutes from B?n Thành and the markets. The decor feels sleek and polished and there’s a choice of river or city views. There is a space age spa and funky bar. 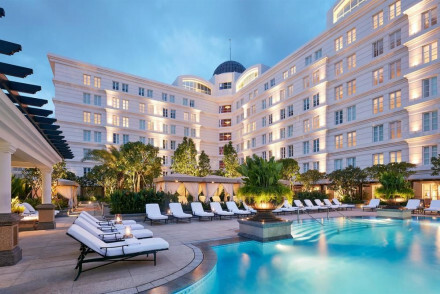 The Park Hyatt Saigon is in a great spot in the middle of the main sights. The style is modern, the decor French Colonial, and it has arguably one of the city’s best bars, Lam Son. 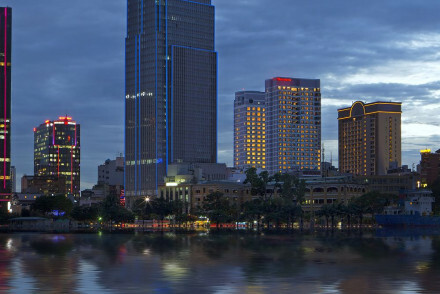 The Reverie Saigon is bold and luxurious with suites ranging from the very grand to the totally opulent. You will have a private butler, plus a chef if you need one The attention to detail is impeccable. 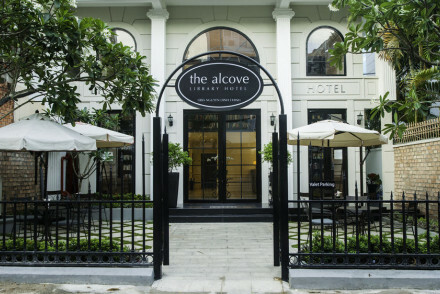 Slightly out of the way, the The Alcove Library Hotel is an elegant French colonial boutique hotel with decor that directs you towards their excellent and extensive library. The location is green and leafy and great for strolling. It is out of the centre of town and that’s why the room rate starts from around £50 per night. Ma Maison is about the same price for the same reason, it’s outside the centre of town. But aside from that it’s perfect - a quaint, 70 year old French villa lovingly converted into an eight room hotel. A calm oasis. If you want to be in the centre of town you can still manage it for less than £100 per night.. 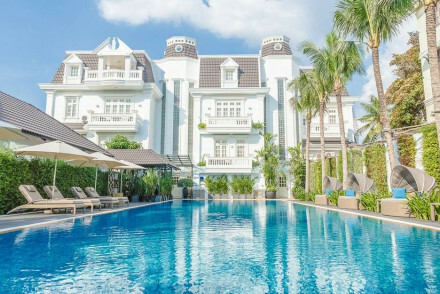 The Sofitel Saigon Plaza is a big, big name hotel with panoramic city views, a rooftop pool and spa and a great French restaurant. The larger rooms are quite a bit more expensive so the small ones are great value. Ho Chi Minh City Airport, is the busiest airport in Vietnam. You can fly there direct from several international cities, including London, Paris, Melbourne, Hong Kong, Beijing, Tokyo and Dubai. There are regular buses into town from the airport, plus several taxi queues. The green Man Linh and Vinasun taxi are the official ones to queue for and definitely the ones to opt for. Tropical Ho Chi Minh City has two distinct seasons, and while the climate is generally mild and the region isn’t known for natural disasters, most visitors will find the dry season more pleasant. This runs between December and April. December is coolest and most humid and by April it’s hot and dry. The rest of the year is wetter, but it’s not really monsoonal weather, and showers pass quickly and make way for sunshine. Five star service found on one of the hectic city’s more peaceful streets. This classic hotel offers panoramic views of the city, rooftop pool and spa. The French L'Oliver Restaurant is a well known local favourite. Local exploring - District One has plenty to see and do, head out and explore this vibrant city. Sights nearby - A ten minute walk from the beautiful Saigon Notre-Dame Basilica. A charming boutique hotel on the Saigon River, with a complimentary boat shuttle service. White on white decor with original artworks and unique details. In a trendy neighbourhood packed with cafes, galleries and riverside restaurants. Local exploring - Rent a 'two-wheeler' and explore the city like a local. Local markets - Wander the streets of Ben Thanh Market, haggle, explore and discover the wonders of street food. Great walks - Sign up for Sophie’s Art Tours and explore the museums and galleries of Saigon. Sights nearby - Visit the Reunification Palace, a historic site from the American War. 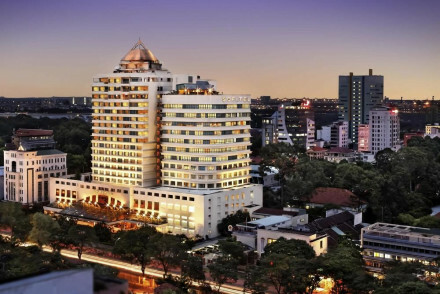 Luxe, contemporary high-rise hotel overlooking the Saigon river, minutes from Ben Tanh Market and other must-see attractions. Sleek and polished decor with bright colours and a funky twist. Modern rooms enjoy river or city views. There is a space age spa and lively bar. Great walks - Have a walk around Saigon Zoo and Botanical Gardens, with many lovely plants, flowers, and trees, a temple, and a museum. Sights nearby - There are many notable Pagodas and Temples including the Quoc Tu Pagoda, the Giac Lam Pagoda and Jade Emperor Pagoda. Swimming Pool - Indoor saltwater pool. In prime location since 1925, the Hotel Majestic is an art deco masterpiece of columns, arches, chandeliers and stained glass domes. Its rooftop bars and Vietnamese restaurants offer spectacular views of the Saigon River. Undoubtedly the heart of the pulsating city centre. Great walks - Take a stroll arounf the Reunification Palace, soak up its history and enjoy the beautifully landscaped grounds. Local markets - Get your bargaining hat on and head out to the iconic Ben Thanh Market, just 15 minutes away. Sights nearby - Notre Dame Cathedral and the French colonial postoffice are well worth a visit. Cooking classes - One meal at the hotel will inspire you to sign up for the cooking classes! 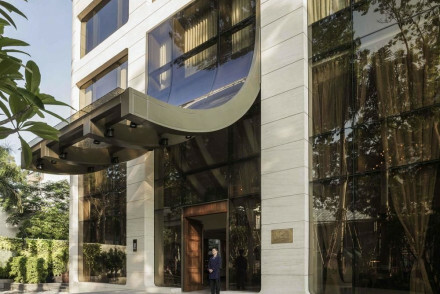 Saigon’s swankiest new hotel. Contemporary white on white rooms with trendy claw-footed bathtubs and hardwood floors. The rooftop bar is unmissable. Enough said. Sights nearby - The Saigon Notre-Dame Basilica is just a short stroll away and is surrounded by other charming French Colonial buildings. Swimming Pool - Rooftop infinty pool. 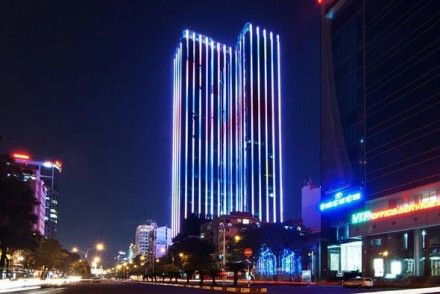 Slick 5-star hotel located in downtown Ho Chi Minh City, near Notre Dame Cathedral and Ben Thanh Market. Spacious and decadent suites feature hardwood floors, bathroom chandeliers and private dining. Rooftop pool, luxury spa and gourmet dining options complete the package. Local markets - The iconic Ben Thanh Market, is within walking distance of the hotel. Sights nearby - just down the road is the famed Notre Dame Cathedral. Award winning downtown hotel. Smart, chic rooms feature all the mod cons. Eight dining and drinking options to choose from. Sip on cocktails whilst taking in the city views from the rooftop bar or enjoy a pampering massage at the Aqua Day Spa. Local exploring - Centrally located for exploring this exciting city! Local markets - Explore Cholon, Vietnam's largest Chinatown with roots dating back to 1778. Sights nearby - Just down the road from the Notre Dame Cathedral. Swimming Pool - Outdoor year round. Brilliant 5-star hotel slap bang in the middle of downtown Saigon. A modern hotel its decor follows a French Colonial style. Undoubtedly home to one of the city’s best bars, Lam Son - it’s packed at the weekends, get there early! Rooms are decorated in muted tones some with separate living areas. Sights nearby - Notre Dame Cathedral, Central Post Office and the Reunification Palace are all within walking distance. Local markets - Check out Ben Thanh Market, where you will find everything from silk scarves to antique furnishings. Swimming Pool - 20m outdoor pool. A luxurious and bold hotel in the centre of town. Suites range from grandeur to opulence - to top it all they have private butlers and chefs upon request! Indulgent design, exceptional quality and attention to detail in all aspects. City Style - Elaborate and eye grabbing interiors by top Italian designers, Italian and Asian fine dining and the best vibe in town. Sights nearby - Within walking distance of French colonial Opera House, the neo-classical Post Office, the historic Reunification Palace. Local markets - Just a 15 minute walk to the hustle and bustle of Bến Thành Market. 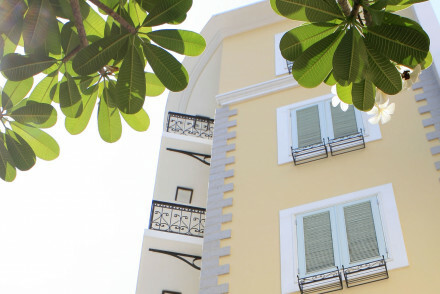 Captivating boutique hotel, surrounded by lush gardens on the Saigon river. Exclusively designed villas - contemporary furnishings with Vietnamese touches. Achingly chic, astonishingly peaceful and worth every penny! A delicious French Vietnamese fusion menu is served. Cooking classes - Cooking classes with the incredibly talented in house chefs, plus market tours with your private butler. Fishing - Your butler will organise and accompany you on a fishing trip up the river. Local markets - The staff can arrange tours of the floating markets of the Mekong Delta. Secluded setting - Outside the hustle a bustle of Ho Chi Minh City.